Pelekas – 57′ Jonathan Wilson 2004 Trad – is in lovely condition, both inside and out. She has been very well looked after. 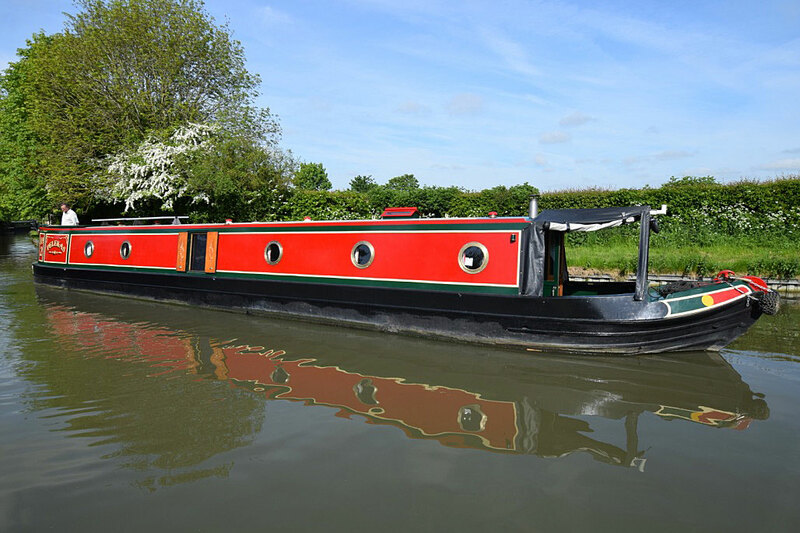 She was built in 2004 by the well regarded Jonathan Wilson and fitted out by Louis & Joshua and the owner. All very nicely done, all in good order and extremely presentable. The good size well deck leads into the spacious saloon. This houses two very comfortable leather reclining armchairs (with leather footstools), the solid fuel stove and various shelving units (one of which houses the TV point). There is under gunwale LED mood lighting in here. The dinette area follows. There is ample storage under and this makes up into a spare double berth. There is a side hatch with coach style window here on the port side which, along with the opening pigeon box over the saloon, makes these areas light and airy. There is more LED mood lighting under the cabinet separating dinette from galley. The horseshoe shaped galley has another side hatch on the starboard side (with glazed insert panel), a stainless steel sink & draining sink, 4 burner gas hob, oven & grill, a microwave and plenty of cupboard space. There is also a separate 12v freezer unit over the 12v fridge. Moving aft and into the bathroom off corridor; there is more storage space than most in here and the shower cubicle is an unusual corner one. The stylish ceramic sink sits counter top next to the Thetford cassette loo and heated towel rail. The generous sized bedroom hosts the 6’6”x4’6” fixed double (with storage under), a wall mounted TV, and a large floor to ceiling double wardrobe at the foot of the bed. There is also clever access to the engine bay for ease of belt changes. The stern cabin is last. The robust Beta 38 is under the floor boards and the washing machine, along with various electrical instruments are in here also. An extra large roof hatch makes access to the stern deck easy. On board central heating is from the Webasto diesel fired system heating 3 rads & towel rail, 230v is from landline (not included in sale) or the inverter, and 330w of solar power keep the substantial battery bank topped up. Pelekas is a lovely “go anywhere” boat. She is ready for immediate living aboard or cruising, and is ready to go.